The Pringles brand is returning to Super Bowl LIII 2019 on Sunday, Feb. 3. 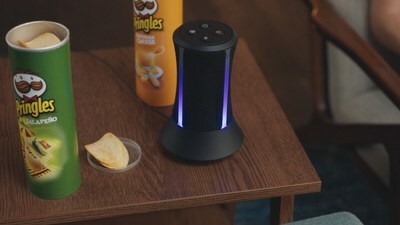 "Pringles is thrilled to be back after making its debut last year with the concept of 'Flavor Stacking'," said AnneMarie Suarez-Davis, vice president of marketing for Pringles. 'Flavor Stacking' has been a fun and delicious way for our fans to create even more mind-blowing Pringles flavor combinations, and this year's ad imagines the extreme sadness one would feel if they couldn't enjoy the taste of Pringles." The :30 ad created by Grey Group will air during the 2nd quarter and will be seen nationally on TV and online streaming versions of the game. The full ad can also be seen on Pringles' social channels ahead of the Game, including on YouTube and Pringles.com. The ad will be supported by a fully integrated marketing campaign including PR, digital, social media, e-commerce and product sampling. "'Flavor Stacking' is so uniquely 'Pringles' – and has been fundamental to the brands recent success - we knew it was the right place to play again for this year's Super Bowl. There are literally hundreds of thousands of combinations, almost too many to comprehend. Creatively we looked to culture to bring that fact to life in a relevant – and funny - way." John Patroulis, worldwide chief creative officer at Grey. Pringles will also be prompting their loyal fans in cities of the two teams playing in the Super Bowl via Twitter on Jan. 31 and Feb. 1 to tweet for their chance to win a free Pringles 'Flavor Stack' delivery via Fooji for their watch parties. For more information and to watch the ad teasers, you can follow @Pringles on Twitter, YouTube and Instagram and check out Facebook.com/Pringles.